There are people in our lives who will always hold a special place in our hearts. 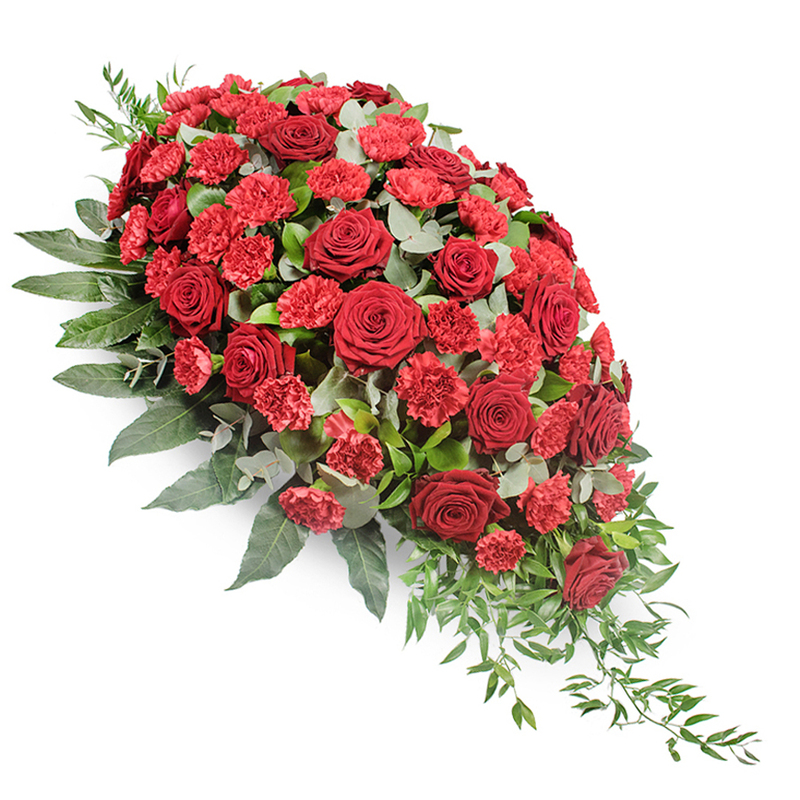 To pay your respect and express your admiration to someone like that, our florists have created a glamorous spray arrangement of sweet red carnations and beautiful red roses which are complemented by fresh greenery. Great service right from the start. 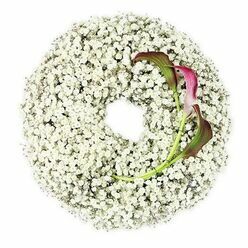 Delivered the most delicate flowers. 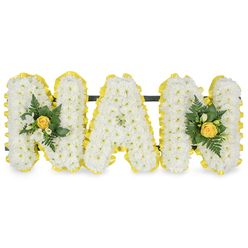 The team provided great help when choosing the flowers for the funeral service. Very helpful staff! Beautiful flowers. Big thank you. Don't have enough good words to say how professional this company is. All of the staff took great care of me and responded to all of my inquiries. 5 stars for the good quality of the service! That was one really beautiful spray! 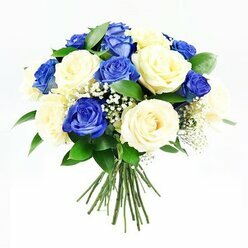 Thank you Handy Flowers for the fast delivery! 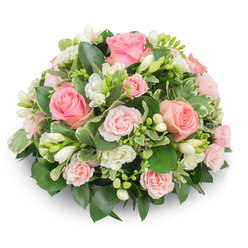 It was my first time ordering funeral flowers online and I was a little bit stressed how the things will go. 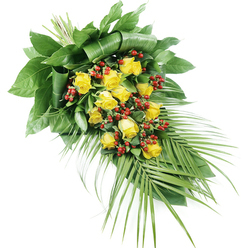 However, Handy Flowers proved to be a very reliable company that arranged everything for me. Their team was very helpful and polite. 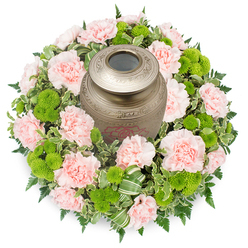 Don't hesitate and call them if you need a beautiful funeral arrangement.